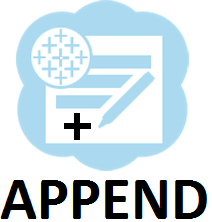 Alteryx Publish to Tableau Server macro – now with Append! Previously it has only been possible to either create a new datasource or overwrite an existing one when using the Alteryx Publish to Tableau Server macro. However if you have daily transaction files this would mean that you have to upload the whole datasource which increase in size every day.